Before you were a mommy, you were, well, YOU. Your appearance was up-to-date with the latest fashion trends and you were the envy of your social circle. But then the day came when you found out you were pregnant. You rushed to the maternity shop and spent a good amount of money on cute maternity clothes. You didn’t let pregnancy stop you from looking your best! When your adorable baby was born, your maternal instincts shifted your focus from you to your baby; you no longer had time and energy to invest in yourself. Your pant wardrobe consists of elastic waistband pants, yoga pants, and ‘mommy jeans,’ because everything else results in an unflattering muffin top. It’s been a year (or years) since you gave birth, but you’re still sporting that maternity bra because it’s the only thing that keeps the ladies where they’re supposed to be. Your idea of ‘tight clothes’ consist of t-shirts that are still two sizes too big. If you were to sum up your current style, you would best describe it as ‘Frumpy Casual’. Motherhood brings with it countless joys and blessings, but it also brings changes to your body that have profound effects on your self-esteem and confidence. Daily exercise and a good diet is strongly recommended, but realistically speaking, they can only help you to an extent. Certain changes brought on by motherhood such as sagging breasts and stretched abdominal skin can only be reversed through surgical procedures. You can be a good mother and also look your best. Motherhood doesn’t have to be about compromising yourself. In fact, part of being a good mother is instilling self-esteem and confidence in your kids, and in order to do that you have to teach by example – you have to show them that mom is confident in her appearance. A mommy makeover is the perfect solution – all the tell-tale physical signs of motherhood are reversed, while the joys and blessings that come with it remain intact. 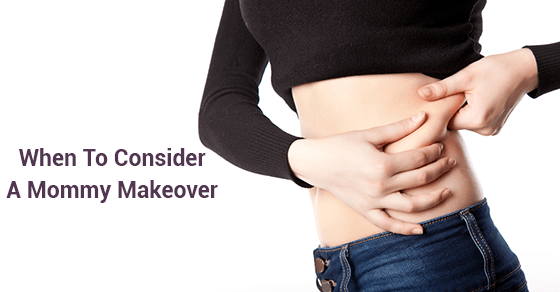 A mommy makeover includes a combination of surgical and non-surgical procedures outlined here. If a mommy makeover is something you need to feel your best again, contact Dr. Pirani to discuss which procedures best compliment your goals.